Paul Oliver, an AV rated attorney and a Principal in the firm, is a respected trial attorney who has more than 40 years of diverse trial and legal experience. He has practiced as a principal with the largest firm in the country and with a medium sized labor firm, as well as with a small minority firm. He has handled all types of trial and appellate matters in Georgia and Federal Circuit Courts, including employment discrimination and wrongful discharge claims, collective actions and class actions under AWPA and FLSA, breach of employment or commercial agreements involving restrictive covenants and trade secrets, commercial banking and other commercial transactions such as RICO claims, claims against real estate and personal property, and other commercial torts. Since joining Wimberly Lawson in 1997, Paul has dedicated his practice primarily to protecting the interests of employers in employment related discrimination and labor matters. In addition to his active litigation practice, Paul Oliver provides mediation and internal investigation services. He is a registered Mediator. Paul is a graduate of Yale University (1971) and Harvard Law School (1974). He has been active in The American Bar Association, the National Bar Association, and Gate City Bar and is a Master of the Bench, Bleckley Inn of Court. 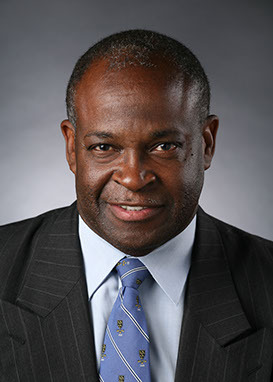 He was an Adjunct Professor of Law at Georgia State University College of Law for many years and often speaks and writes about legal issues of interest to his clients.